Mount Bromo, Blue Flame Ijen, Paragliding tour package have duration 4 days 3 nights started from Surabaya Airport, Banyuwangi Harbor, Jogjakarta and Bali. This holiday package dedicated to explore the beauty of nature tour in Java Indonesia that consist of Climbing, Volcano Trekking and paragliding sport. If you are the first time enjoy this travel package, Hope you make a booking within 1 month before your vacation go on. For detail itinerary, You can read more below. After finish enjoy all the views, comeback to the jeep and continue to the top of Mt Bromo by stop at sea of sand then do a trekking to the crater for 25 minutes or take the horse riding transportation. Get your hotel, stay 1 night. 05:40 AM – 06:30 AM : After get the top, continue take picture for The green lake of Ijen volcano until finish and comeback to paltuding or parking lot for 1,5 hours then comeback to your hotel to have breakfast, take shower and relax until you are ready to check out. Check out and continue to your Trip to Batu Malang City for 7 hours driving, After you reach your Hotel, Stay 1 night. 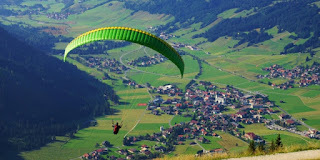 After finish take the Paragliding holiday, comeback to your Hotel or directly comeback to Surabaya Airport for 3 hours (After finish paragliding in Malang, If you still have more time, You can enjoy other tourism object in Batu City), Reach Surabaya Airport, finish tour. Detail information about Mount Bromo Tour Package, Accommodation and other facility, You can visit Our contact for Private tour package or the custom tour (according your personal planning).